The Mountlake Terrace woman’s manner of death remains unknown, according to the Snohomish County Medical Examiner’s Office. Cheryl DeBoer, whose body was found under suspicious circumstances last month in Mountlake Terrace, died from asphyxia due to a plastic bag being wrapped over her head as well as from freshwater drowning, the Snohomish County Medical Examiner’s Office announced Monday. Her manner of death, however, remains unknown, according to the medical examiner. The Mountlake Terrace Police Department released a statement Monday after the medical examiner’s announcement, saying it plans to continue reviewing evidence, including DeBoer’s cellphone and computer records, to help determine the manner of death. “At this point in the investigation, there is nothing to suggest DeBoer’s death was the result of an act of homicidal violence,” Police Chief Greg Wilson said in the statement. 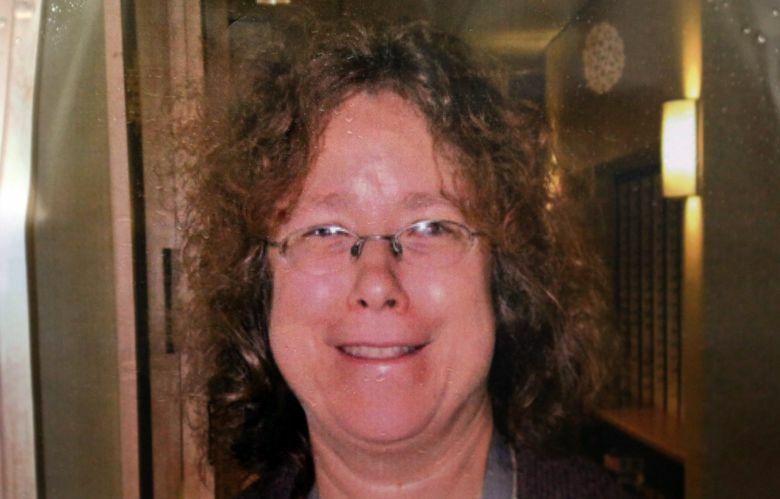 DeBoer, 53, was reported missing by her husband after she failed to show up at work in Seattle on Feb. 8. According to police, DeBoer, an employee at the Fred Hutchinson Cancer Research Center, was supposed to meet a friend at the Mountlake Terrace Park & Ride lot and carpool to Seattle. But her friend received a text from DeBoer’s cellphone around 7 a.m. indicating she had to return home for her employee ID badge. Police said DeBoer’s work ID badge was found at her house after her disappearance. Her car was found later that afternoon near the intersection of 58th Avenue West and 234th Street Southwest on a street where commuters often park. According to police, blood was found on the passenger seat and a portion of the passenger side door. Her cellphone was not found. Her fully clothed body was discovered Feb. 14 in a culvert about a mile and a half from the transit center. After an autopsy police said that DeBoer had small cuts on her fingers that appeared to be self-inflicted. Police have said that it appears DeBoer’s phone was turned off shortly after her friend received the text. Police say DeBoer’s husband took a polygraph test and has been eliminated as a potential person of interest. Police have been investigating her death as a homicide, while not ruling out other possibilities. Police said last month they were holding back on releasing “sensitive information” about the death of DeBoer until toxicology and forensic analysis of her computer and cellphone records are complete. Jessica Lee: 206-464-2532 or jlee@seattletimes.comInformation from Seattle Times archives is included in this story.